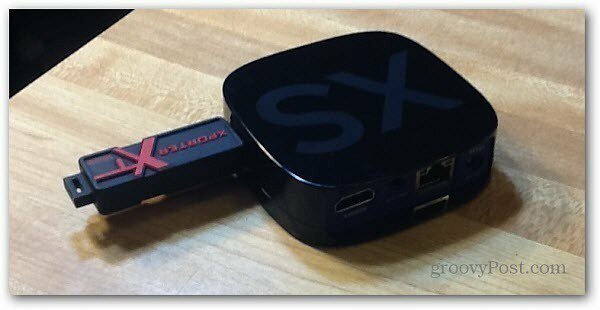 I previously covered how to play music, video and pictures from a USB drive plugged into your Roku set top box. 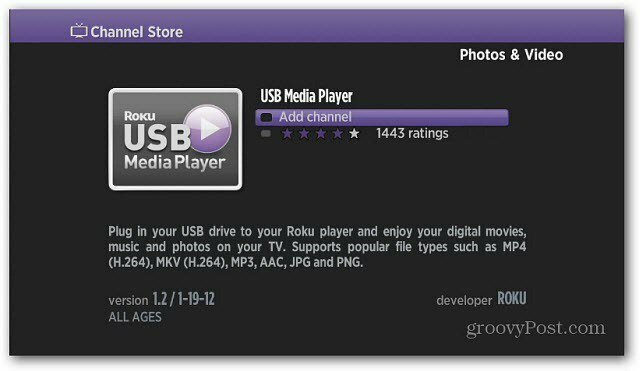 Roku also has its official app called USB Media Player. Here’s a look at how to use it. I have tried several different Internet streaming set top boxes. From the Apple TV, the Sony SMP-N200, the Xbox 360 and others. The one I use the most is my Roku 2 XS. It includes a plethora of channels in the store and several hidden channels you can add. But, sometimes you want to access your own local media. From the Roku main menu, go into the Channel Store. 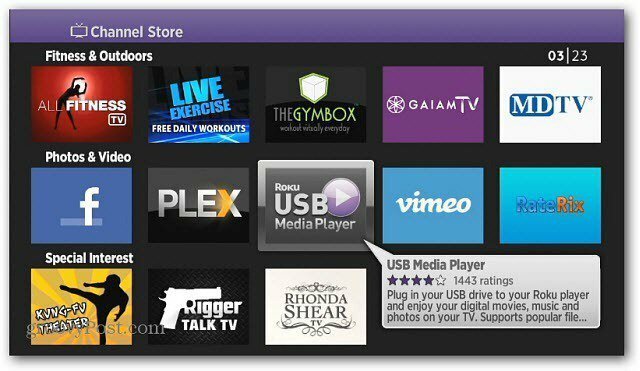 Under the Photos & Video or Music section select Roku USB Media Player. Then move it to a convenient location on the Home Screen menu. Insert the USB drive with the music, videos and pictures you want to check out. Launch the Roku USB Media Player. 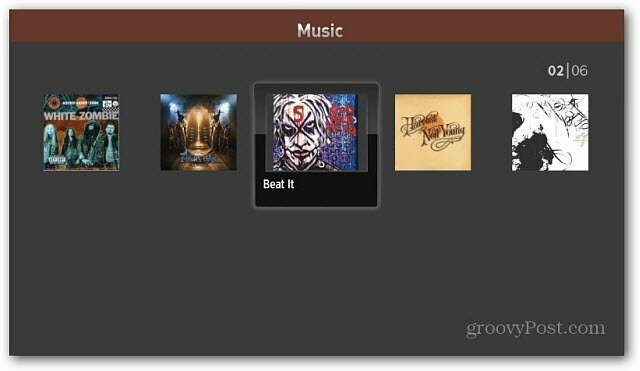 You’ll see a menu for Music, Movies (videos) and Pictures. You don’t need to organize the media files on your USB drive. The app shows the correct file type in each category – Music, Photos, Videos. 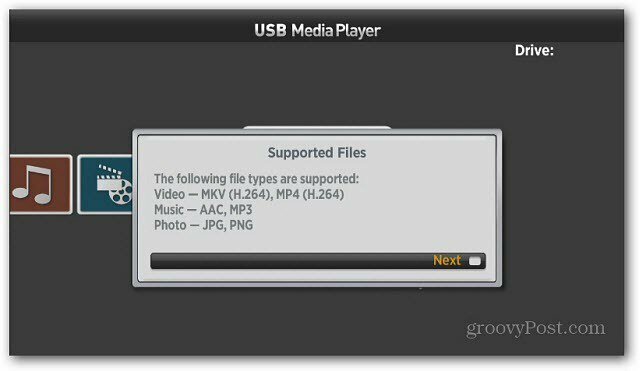 The Roku USB Media Player supports the following files. Only these media file types will show up in each category. Unsupported file types will be hidden. 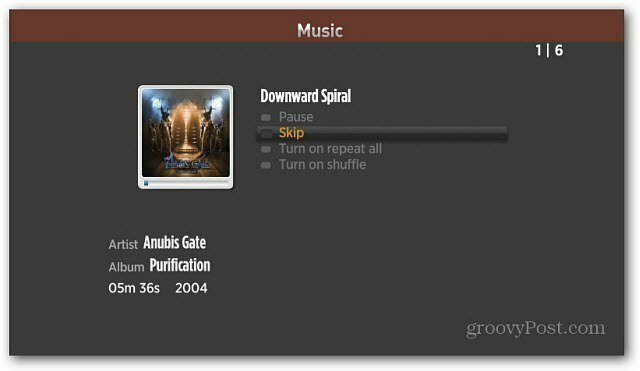 Navigate to the media type you want and select the file you want to play. Here is a look at the Music folder. When you play a song you’ll get the cover art, artist name and basic playback controls. 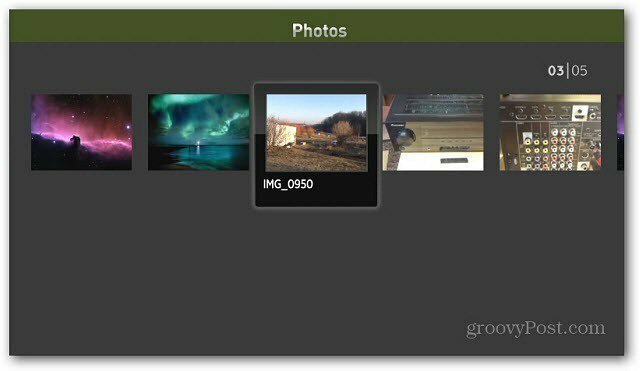 In the Pictures folder, use the left and right arrow keys on the remote to browse through the picture collection. 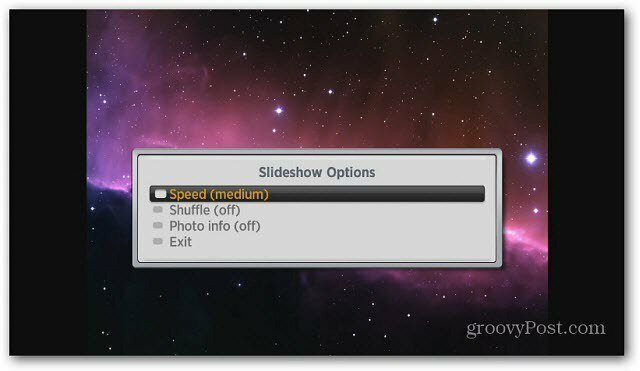 You can press play to begin a slideshow. Press the Asterisk button on the remote to get the Options menu to control how the slideshow displays. This is really cool if you want to display your pictures on your HDTV. You’re able to play supported video types as well. All videos are located in the Movies directory. 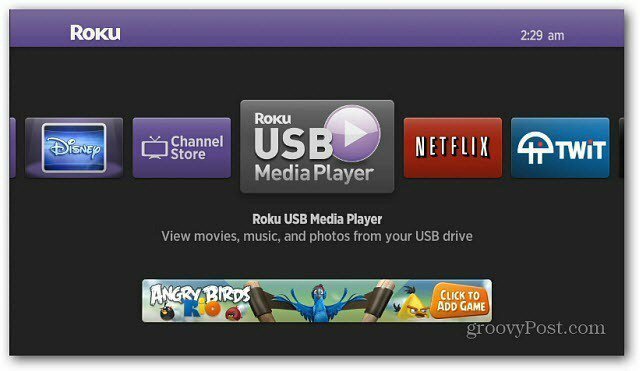 The Roku USB Media Player is easy to use and has a nicer interface than the Nowhere USB app. The ability to play more files types would definitely be welcome, it’s pretty limited. If you need to convert a movies or other media file to a supported format, I recommend using HandBrake. It’s a free app for Windows, Linux and Mac. 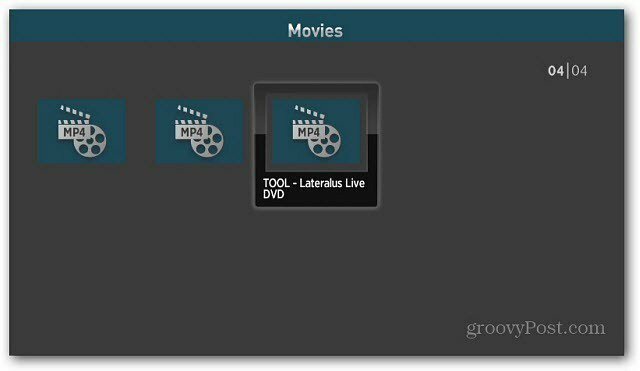 It will handle converting the most popular video file types. There’s already a plethora of Internet streaming channels to watch on your Roku. 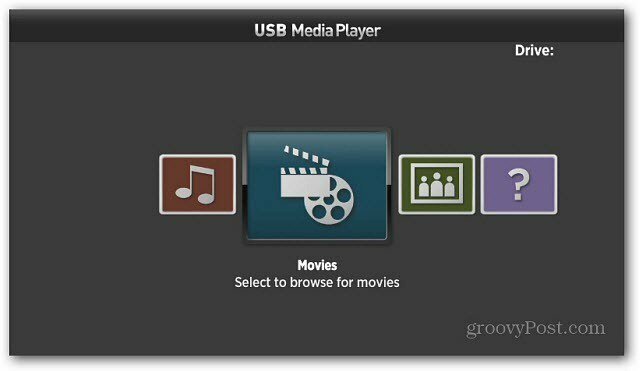 Using the Roku USB Media Player allows you to enjoy even more media on your HDTV…groovy! I looked at my Roku 2 and couldn’t find ANY usb slot. Why is it that your Roku 2 is dfferent than mine? Or do you happen to know how to view folders and video files in a grid system not a Long line like it is now .. ..